Is There Life after Poppies? Because of the comparatively dry Spring this year, the Spring flowers have been short-lived. Notice how different the poppy bloom last year compares to the same scene this year. 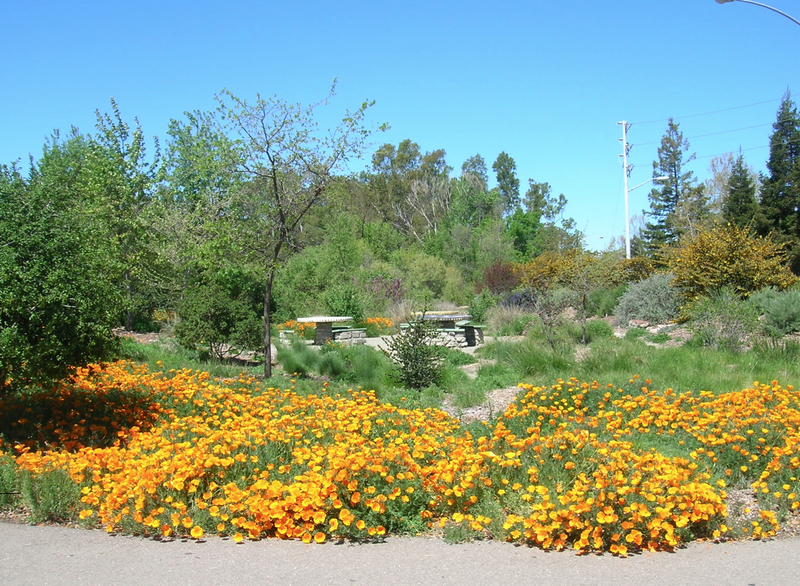 Now that the splendor of the Spring poppy display is going or gone, what is there to look forward to at the Granada Native Garden? The tables in the center of the Garden are surrounded by Clarkia (appropriately also named “Farewell-to-Spring”), evening primroses and yarrow. The bright red Clarkia is named after William Clark, part of the famed Lewis and Clark expedition to the American west in 1804. 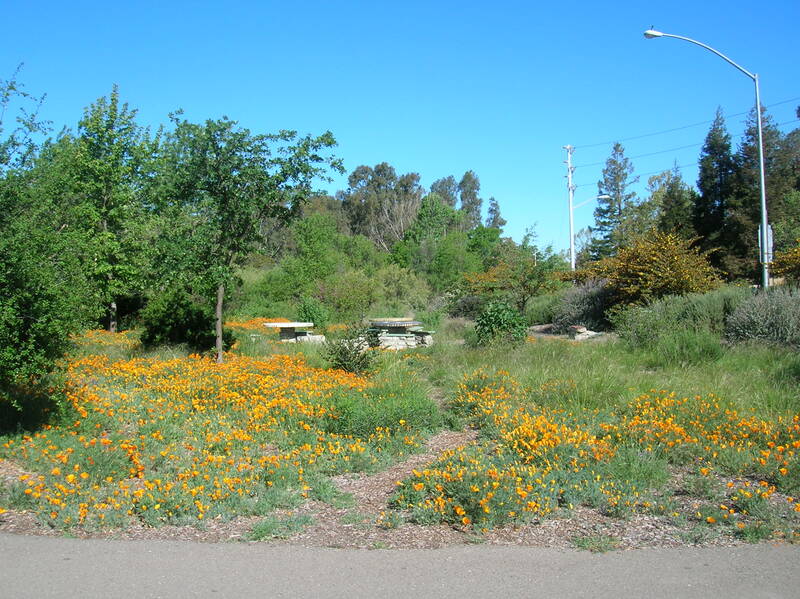 A couple of specimens were planted here in 2012, and they felt at home enough to spread themselves around. The primroses are the yellow flowers at the upper left corner. They are supposed to open mainly in the late afternoon and evening so that they can be pollinated by moths which are active at night, but here the blooms seem to stay open well thru the day. 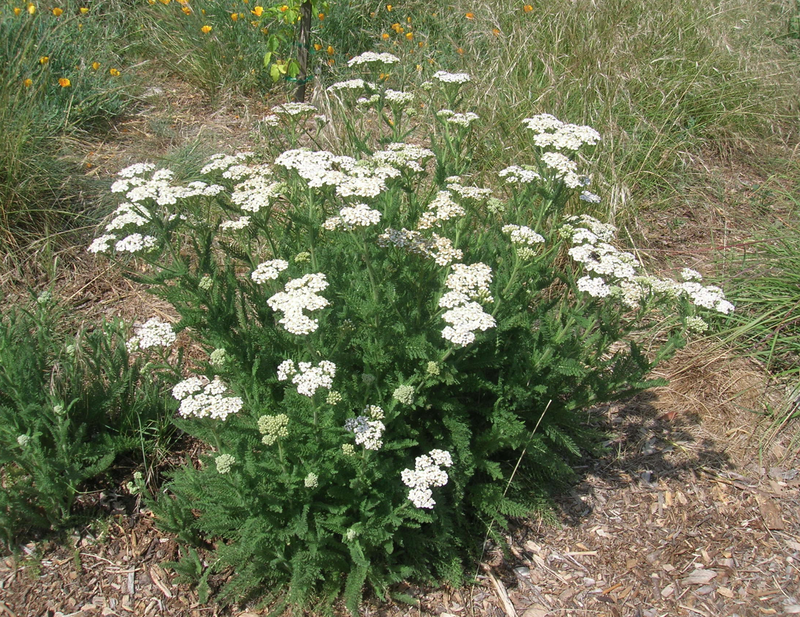 The yarrow is a very persistent member of the GNG community. It does very well without any summer water, and can appear in either white or pink. Other varieties come in yellow, but we don’t have any of those here. 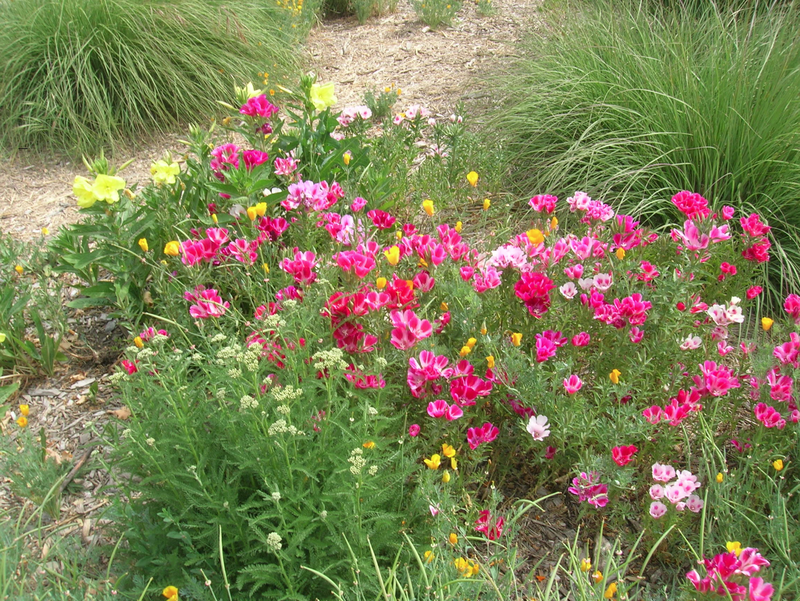 Clarkia and primroses come and go, but roses are forever. They are in bloom in the Garden for several months. These are not your everyday household roses. 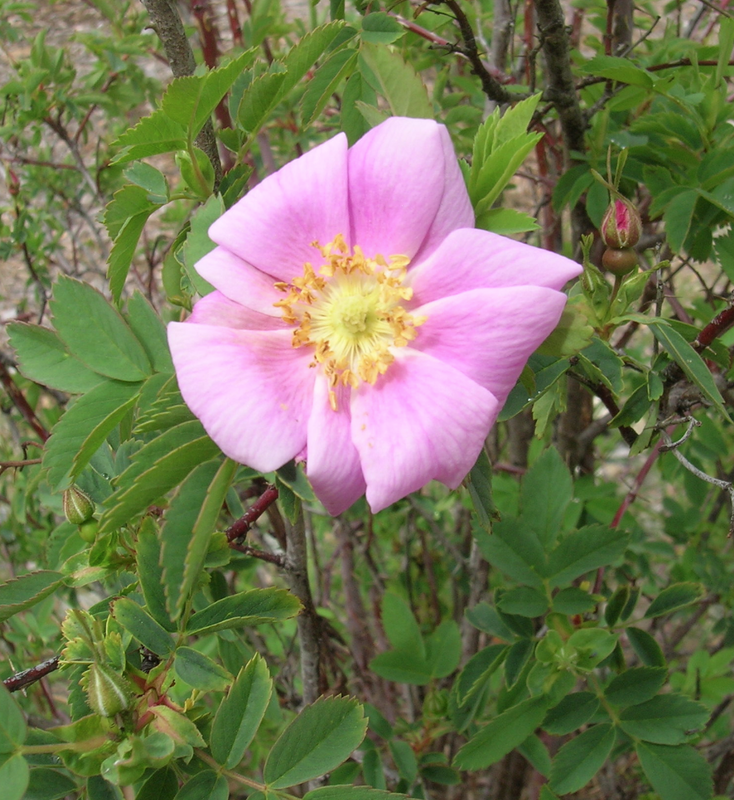 They have only one whorl of petals, not several layers, and the thorns are very tiny — not easy to avoid when you are weeding around them or thinning them. They are actually quite invasive, and need to be pulled out when they get in the way of other things in the Garden. The yarrow stays around most of the year too. 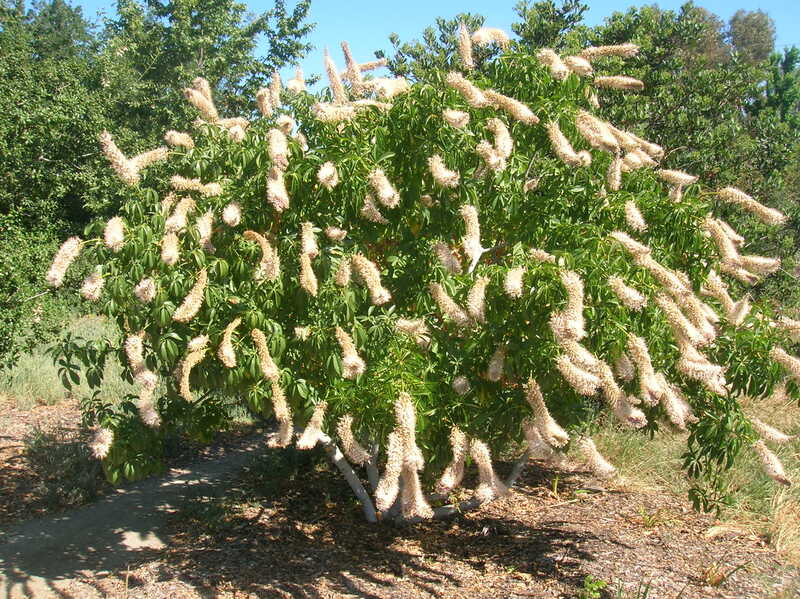 This medium-size tree is stunning in the Spring, when it displays its abundance of 8-10 inch flower spikes. 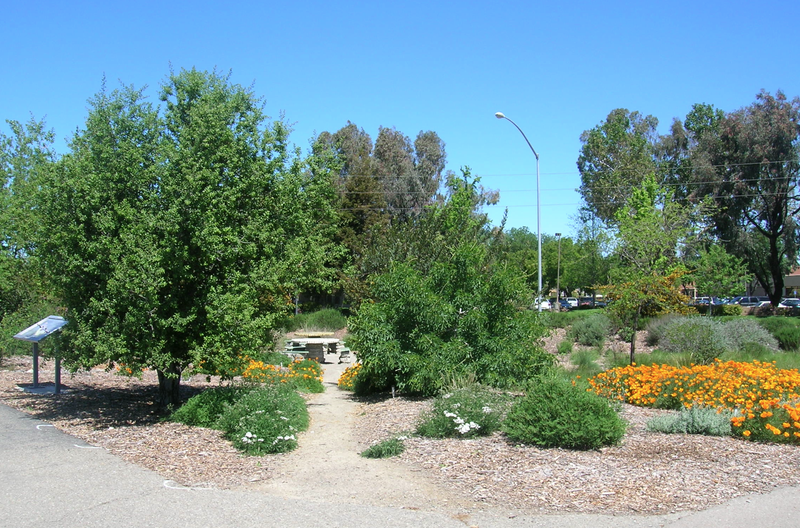 But as soon as the California weather warms up, the buckeye goes into its summer phase and loses its leaves, in order to conserve moisture for its next growing season. So in the summer it might appear dead, but it’s really only “aestivating” until the next Spring rolls around. Buckwheat This can be confusing. When I think of buckwheat, I used to think of buckwheat pancakes and gluten-free flour. This is not your native California buckwheat. The former (genus Fagopyrum) is a native of Europe, and is good for pancakes, breads and salads, as well as a garden cover crop. 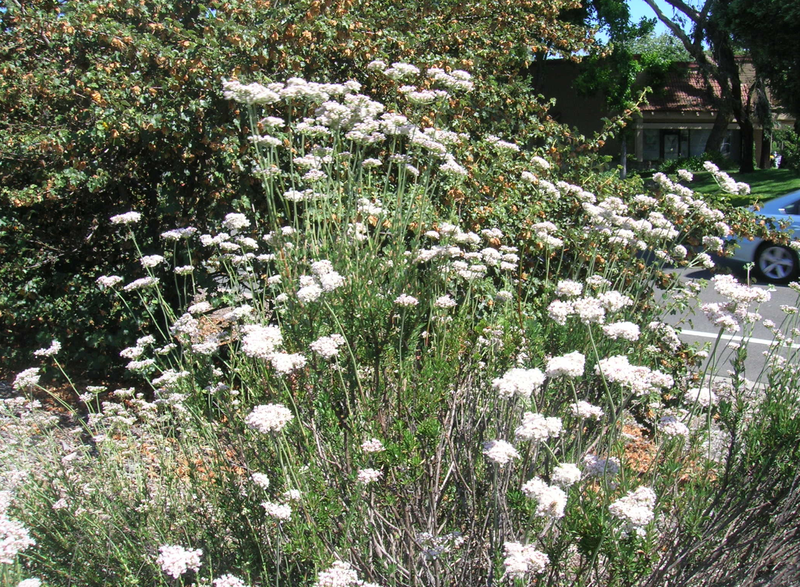 The latter (genus Eriogonum) is a genuine California native that is really good for birds, butterflies, bees. and other insects, and as cover for lizards. So if you want to attract these fauna to your yard, plant buckwheats. Buckwheats come in many sizes, small, medium and large. The flowers begin to appear just as the spring flora are turning to seed, and the blossoms last a long time, turning to rust-colored in the fall.